The D850 puts staggering image quality and impressive performance within reach of working photographers everywhere. 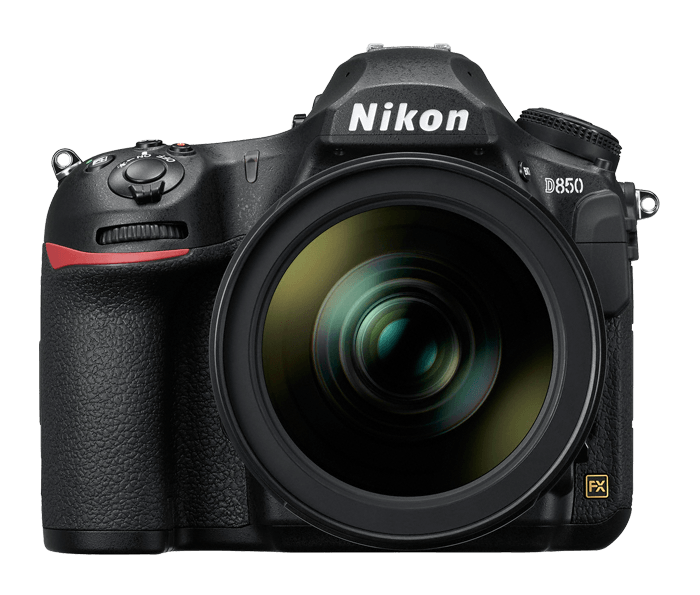 At the heart of the D850 is a back-side illuminated (BSI) FX-format full-frame CMOS image sensor with 45.7 megapixels and no optical low-pass filter. A marvel of ingenuity, it achieves extraordinary image quality, enhanced light gathering efficiency, faster data readout and truer color with virtually no risk of moiré. Create greater depth and dimension with advanced flash control and Nikons Creative Lighting System. When combined with the optional WR-A10/R10 transceiver7, the D850 can control and wirelessly fire radio controlled SB-5000 Speedlights from another room, around corners or outdoors in bright sunlight. Whether in the studio or on-location, from the catwalk or the scenic overlook to a wedding ceremony or night sky, the Nikon D850 is the versatile tool to capture all, with astounding resolution and speed. 1 Up to 7 fps; use the MB-D18 Multi Battery Power Pack with the EN-EL 18b/a Lithium-ion Battery and shoot full resolution up to 9 fps. 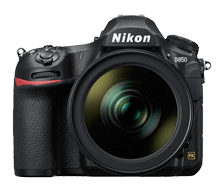 2 Among DSLR and Mirrorless cameras as of August 24, 2017. 3 DX Nikkor also compatible. 4 Available with Full HD or HD or in Stills Live View Mode. 5 Requires 3rd party software. 6 Requires EN-EL 18b Rechargeable Li-ion Battery. 7 Requires firmware version 3.0 or later. 8 Based on CIPA Standards.